Not everybody is thrilled with the upcoming Disney live-action remakes. Storyboard artists who worked on Dumbo, Aladdin, and The Lion King will not be receiving credit for the work that they put into shaping the original iconic animated films. 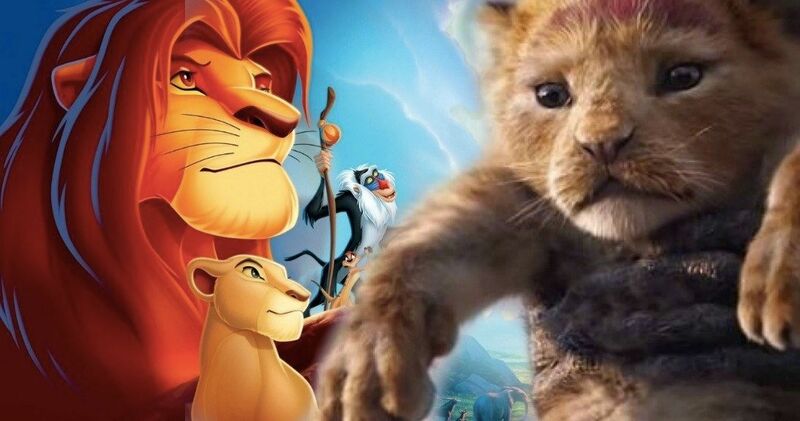 While most Disney fans were excited to see the first trailer for Jon Favreau’s take on The Lion King, many couldn’t help notice that it was nearly a shot-for-shot remake of the original movie. Since then, the studio has come forward and insists that the live-action adaptation will not be an exact remake of the original. Storyboard artist Jorgen Klubien worked on The original Lion King in 1994 and created a key scene, which gave him a story credit. However, that story credit may not be put forward with the upcoming remake, due to some old union contracts from the late 1930s that are still in place today. Klubien asks, “How can they not bring my credit forward? How can they just eliminate it?” Many who worked on Disney classics that are getting the live-action treatment are asking the same question. Thanks to The Animation Guild (TAG) jurisdiction, Jorgen Klubien and other storyboard artists, who contributed greatly to the success of the original animated versions, receive no residuals. The original version of The Lion King was not made under Writers Guild of America (WGA) jurisdiction, so some of the writers and storyboard artists are left out in the cold when it comes to merchandising, Broadway shows, and remakes. TAG offers few credit protections and no residuals, which are seen as routine under the current WGA rules. Back in the late 1930s when Disney was getting its start, the distinction between writing for a cartoon and a live-action movie were seen as two different things. It was put into the early cartoon union that just about anyone could help out with the writing of an animated project. “The director and the story man develop the idea into a story,” which is then deemed suitable for a big screen project. Today, the rules are generally the same for the “story men.” The storyboard artists are largely responsible for framing the entire movie, including dialogue and blocking, which is a huge amount of work that should, in theory, get credits on say, The Lion King live-action remake. As it turns out, animation didn’t really hit the big time, in terms of money, until 1989’s The Little Mermaid, which started a discussion to move away from the old animation union. The WGA actually took notice and formed the Animation Writers Caucus in 1994, which led to protection for storyboard artists and others who contribute to the story of an animated project. However, Disney workers are still under the old TAG, which means that they are stuck with what they can negotiate. That being said, it looks like Disney employees from back in day may be out of luck with the new remakes hitting the big screen this year. This story originated from The Hollywood Reporter.